Elizabeth Holmes could be banned from her startup Theranos' labs -- a move that comes at the suggestion of federal health regulators. 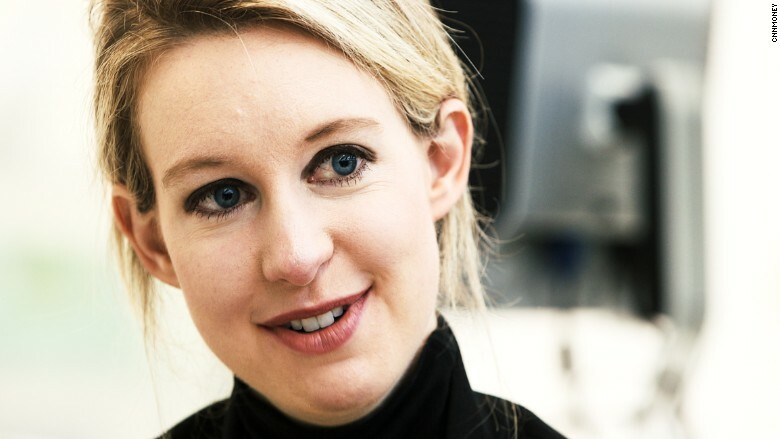 But a spokeswoman for Theranos said that's a "worst case scenario." Regulators proposed this nuclear option to the blood testing company after it failed to adequately satisfy concerns raised by the Centers for Medicare and Medicaid Services. In a letter dated March 18 that was obtained by the Wall Street Journal, CMS wrote that Theranos failed to adequately address critical deficiencies at the company's California lab. If Theranos didn't respond within 10 days, Holmes and president Sunny Balwani would be barred from owning or operating the lab -- or any others -- for a minimum of two years. It would also take away the California lab's federal license. Theranos has a lab in Arizona, which is still operational. Theranos has positioned itself as a cheaper, more efficient alternative to traditional medical tests. It claimed it could process up to 70 lab tests on just a few drops of blood. It is valued at more than $9 billion and has been billed as a classic industry disruptor. But in October 2015, a scathing report in the Wall Street Journal called much of its technology and testing methods into question. CMS's concerns became public in January, after the agency conducted a routine survey of the lab and found five areas in which it fell short of compliance standards. Theranos responded and said it had addressed the issues, but in the March letter, CMS said it wasn't adequate. A spokeswoman for Theranos told CNNMoney that the company responded more than two weeks ago and is waiting for CMS to review and respond, although she said Theranos is in "constant" contact with the regulators. If sanctions are imposed, they will be made public, she said. "CMS has not imposed sanctions on Theranos' Newark lab. Due to the comprehensive nature of the corrective measures we've taken over the past several months, which has been affirmed by several experts, we are hopeful that CMS won't impose sanctions. But if they do, we will work with CMS to address all of their concerns," according to a statement from Theranos spokeswoman Brooke Buchanan. CMS said that it's not able to release the letter at this time and declined to comment on the record. Just last week, Theranos announced that it has added six new board members with deep medical expertise. The company had been criticized in the past for the fact that its board is made up with people like Henry Kissinger -- and few medical experts.